Next week, Odile Roujol will join us as a judge on our Female Founders Pitch Female Funders panel on June 14th at Google Launchpad. It will be an exciting, inspiring evening of networking, pitch sessions, and lightning talks by the investors. 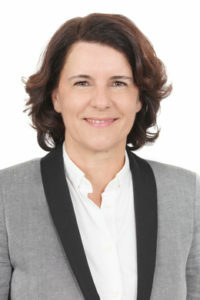 Odile Roujol is a Business Angel at Bay Angels, Advisor in Residence at NextWorld Capital, and an advisor and board member for several companies. She enjoys guiding entrepreneurs through their business strategy and go-to-market strategy. Odile is a graduate of the HEC School of Management in Paris with an MBA in Marketing and Customer Experience. Welcome to The Expat Woman, Odile. Thank you for answering a few questions for us! Would you mind telling us a bit about yourself and your career? “I love the energy in the Silicon Valley and having an impact in people’s life. I advise startups and [venture capitalists] in San Francisco. Being an Advisor in Residence with Next World Capital means working with the firm’s portfolio companies as they expand into international leaders; same for The Hive Data building startups in AI and machine learning. I’m also a Board member in several different companies. I like to be a mentor and help female founders: I also founded a BeautyTech community where entrepreneurs in beauty and fashion share their learnings with other entrepreneurs in great meetings. We’re now in Europe, US (in SF and NY), and Asia (Seoul and Tokyo). What inspired you to get into investing? What has been your experience with investing so far? What’s it like being a woman in a largely male dominated field? What are the challenges and successes? What are some of the companies you have invested in and why? “I’ve invested in augmented reality to improve customer experience, social media analytics to predict trends, fintech, and mobile banking … and, for sure, platforms with a unique story, tone of voice, and great products. What advice would you give to women looking to invest or looking to find investors for their startups? “First, be confident in your idea, and therefore have many conversations to grow as a leader. Find mentors, then advisors, and then independent board members. It helps you from the beginning to understand how to manage the dynamic of a board and how to manage it as part of your team. Also, you need to do your due diligence when choosing your investors. It’s like a partner in life, you’re engaged for years! Build a trusting relationship and learn for life. This entry was posted in Career, Career stories, Entrepreneurship, Women of Substance. Bookmark the permalink.